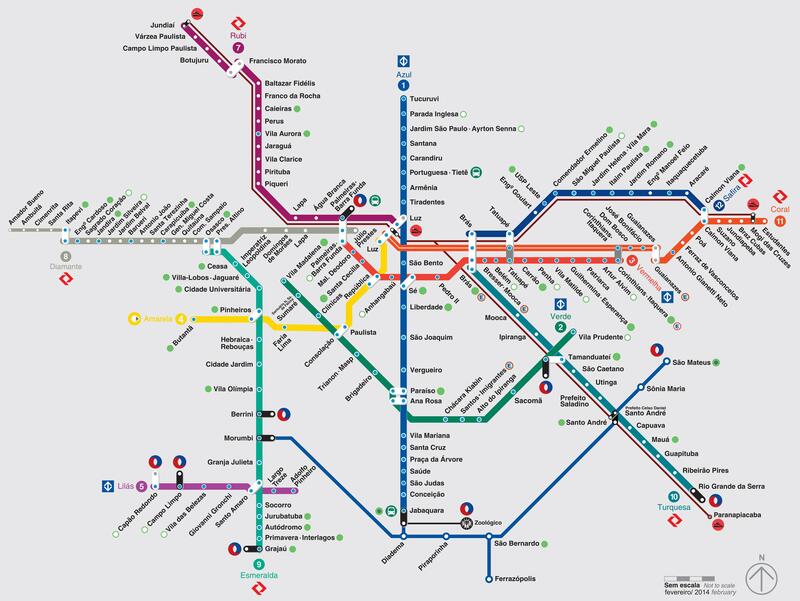 You can find on this page the map of São Paulo subway. São Paulo subway, tube or underground is a transit system serving the city of São Paulo (Brazil) with the urban, suburban & commuter train or the bus. The subway network has 5 lines and 64 stations forming a rail network of 45 miles (74 km). São Paulo subways which transport 877 million passengers per year, exist since 1974 and are operated by the Companhia do Metropolitano de São Paulo and ViaQuatro.